The rescue website. See all dogs available for adoption, or fill out the adoption application form to be placed on the waiting list. A MUST READ website for anyone wanting to purchase a puppy. This is an unbiased website, with no recommended breeders, purely for the benefit of anyone wanting to buy a puppy to help them with what they need to look for in a breeder. Promoting responsible and ethical breeding in Australia. Members follow strict breeding guidelines so your puppy has the best possible start in life. Dogs NSW: NSW Canine Council. Our state controlling body. _Dogzonline: Australia's purebred dog community. 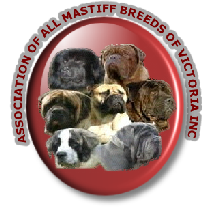 Find registered breeders, view litter notices, rescue dogs, show results, a discussion forum and more. _InLine K9 is a dog training and behavior service available at your home, servicing Greater Geelong, Ballarat, Melbourne and beyond! Interstate and country Victoria consultations available. New training ground coming soon! See website for updates. We'd like to thank Julie, who has helped us with advice, and especially for sharing her knowledge on the Dogue de Bordeaux Forum. Premium Quality Dog Accessories you won't find anywhere else. Most awesome leather collars and harnesses, leads and much more! Tough, solid, quality gear, Viva has one of their collars! Love this site! Finally found somewhere with collars big enough for our guys! Wonderful Sydney based photographer who takes stunning photos of your pets (see Viva's page for 2 photos that Ruth took at the Pet Expo Feb 2012). Ruth catches the essence of the situation and the personality of your pet. Highly recommended for anyone who wants everlasting keepsakes of their fur-family. This website has been created using Weebly. A very easy interface to use, and we are happy to link to their site. Both free and paid accounts are available.